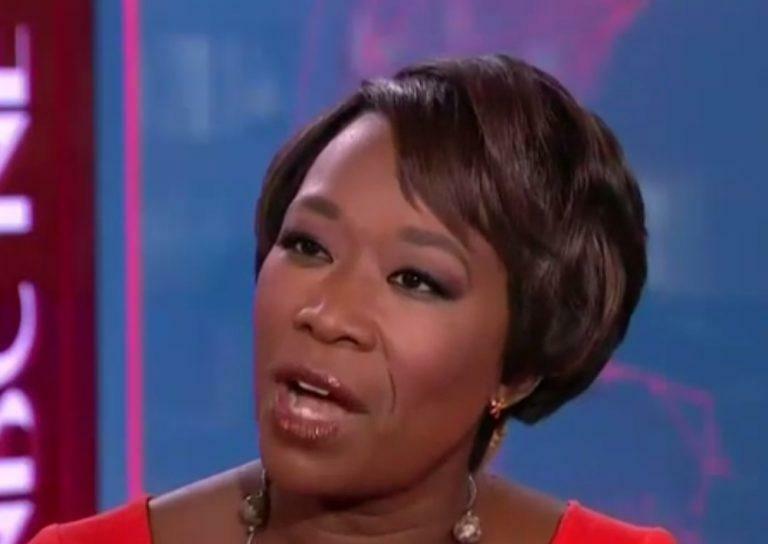 MSNBC Weekend host Joy-Ann Reid - who in December apologized for a series of homophobic blog posts from 2007-2009, thought it would be a good idea to pour lighter fluid on herself and tell Mediaite that the offensive posts were "somehow put in by an "external party" that "manipulated material from my now-defunct blog."" In a statement to Mediaite, Reid said that the allegedly hacked entries do "not represent the original entries on her site." So Reid is now claiming that hackers authored numerous anti-gay articles on The Reid Report to make her look bad. AKA the "I didn't do anything wrong" defense. In December, Mediaite reported on the offensive content, noting that "Reid wrote a dozen blog posts in 2007, 2008, and 2009 that contained homophobic conspiracies and anti-gay jokes." Reid wrote numerous bigoted blog posts smearing, mocking, and attacking former Florida governor Charlie Crist. These rants included calling Crist “Miss Charlie” and sarcastically using the tags “gay politicians” and “not gay politicians” — despite the fact that the twice-married, heterosexual man has never come-out as gay. As The Intercept's Glenn Greenwald notes - "THE LAST 24 HOURS have changed the Joy Reid situation considerably. Last week, the same left-wing Twitter user (Jamie Maz) who first unearthed Reid’s anti-gay tweets about Crist unearthed far more toxic, bigoted, and vicious anti-gay articles that appeared to be from Reid’s old blog." Reid has removed her blog from the internet, so Maz found the articles using the “Wayback Machine,” the internet digital archive that stores old online content even after it’s been removed or deleted by the publisher. Last night, the news outlet that reports on TV news media, Mediaite, published an extensive story on these newly found articles that appear under Reid’s byline. Click on any of the three tweets below to read the original Twitter thread by Jamie Maz, full of screenshots similar to the above. 2/x Top 5 "totally not gay celebrities of the year". Responding to Reid's claims that the entries were hacked, the folks over at the Internet Archive Wayback Machine at archive.org responded, claiming they hadn't identified anything "to indicate tampering or hacking of the Wayback Machine" versions of Reid's blog. That leaves Reid with only one option; hackers must have broken into her website prior to the internet archive cataloging it, and made dozens of homophobic, bigoted entries, which just sat there for years until they were unearthed nearly a decade later. Unfortunately we can't check out Reid's old blog posts, as "sometime after the story broke last December, Joy Reid had the archive taken down," by adding a "robots.txt" file to the website which tells the Internet Archive to exclude the site. Unfortunately for her, Jamie Maz took copious screenshots to document Reid's comments.